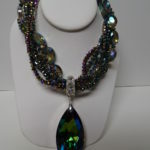 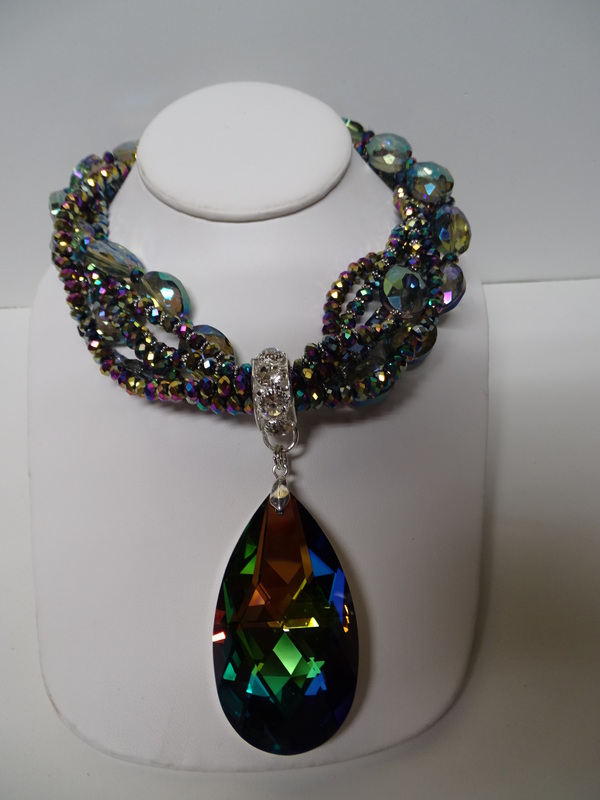 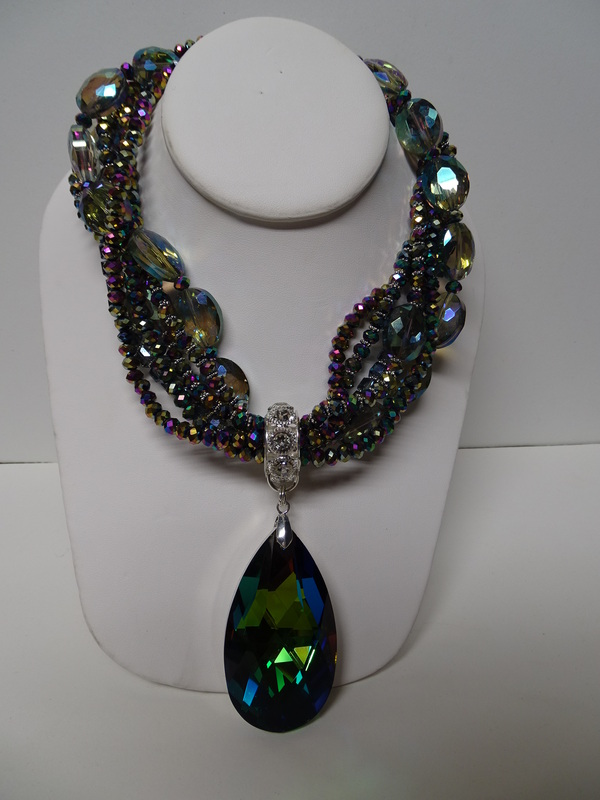 6 strand combo of crystals and acrylic faceted beads flashing Aurora Borealis colors magnificently. 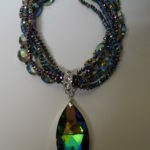 The strands support an oval, faceted, large pendant flashing blue, green, purple, red and yellow colors. 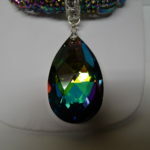 The pendant measures about 2 1/2″ long x 1 1/4″ wide. 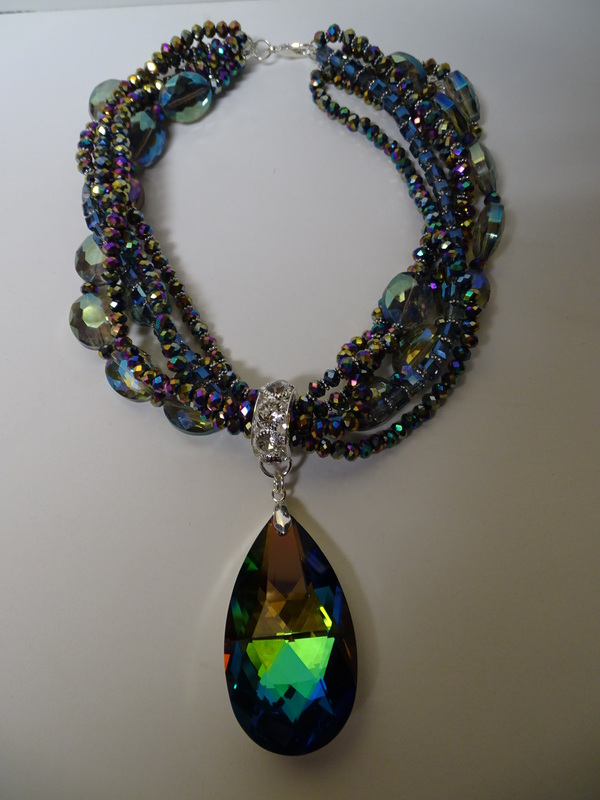 The entire necklace measures about 15″ long with a generous extension chain. 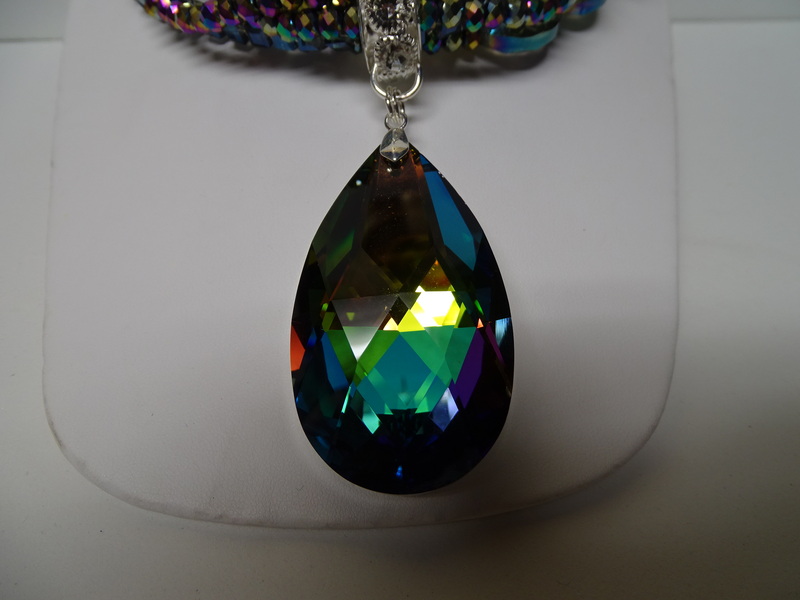 No need to go North to see the Aurora Borealis….it’s right here. 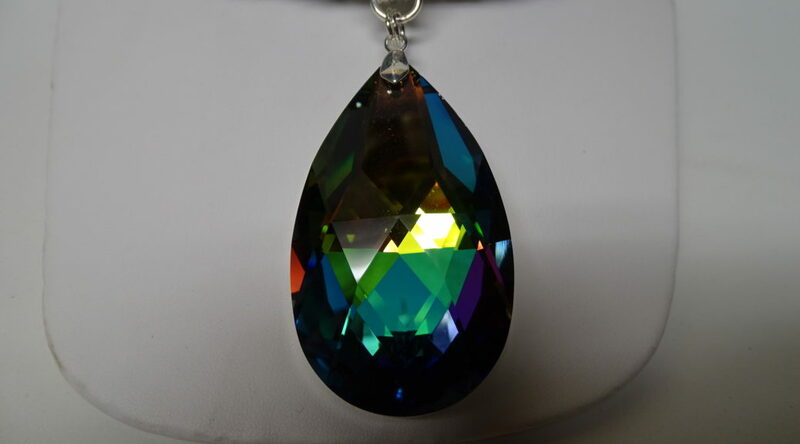 •There is always no charge for shipping & insurance. 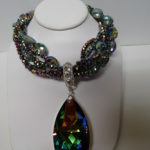 •For a closer look, please click on photos below.